We have seen a lot from our German friends and will soon see things from our Swiss friends. But I want to salute some English friends who have not been idle! 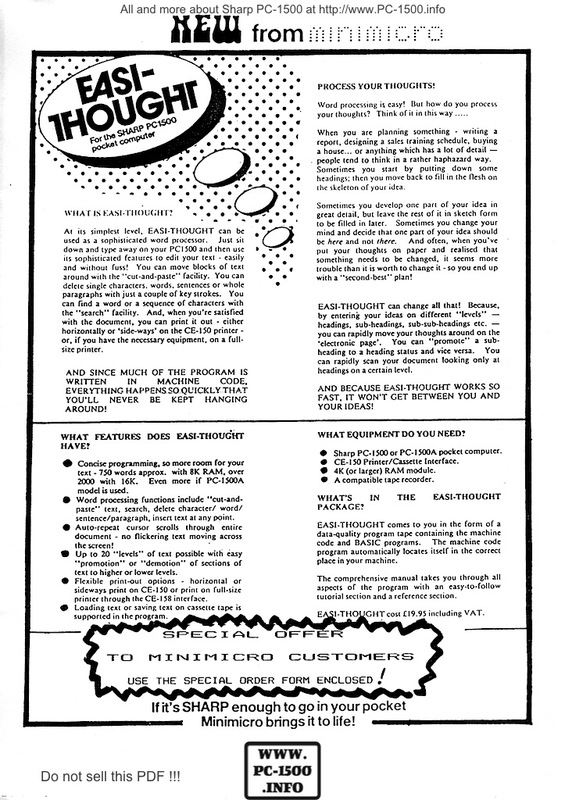 A couple, Ian and the late Ruth Traynor, decided to found the MINIMICRO company to sell Sharp pocket computers and sell their software. 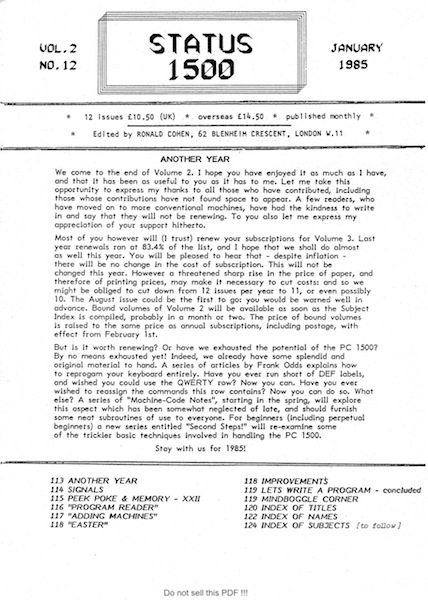 One man, Frank C. Odds, who published in magazines a few programs for the PC-1500. The combination of these three people was a turning point in the English Sharp adventure. 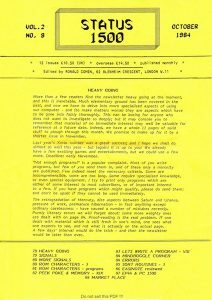 Ian and Frank were kind enough to share the fruit of those years and allow me to publish here their programs. Feel free to leave your thanks and comments. 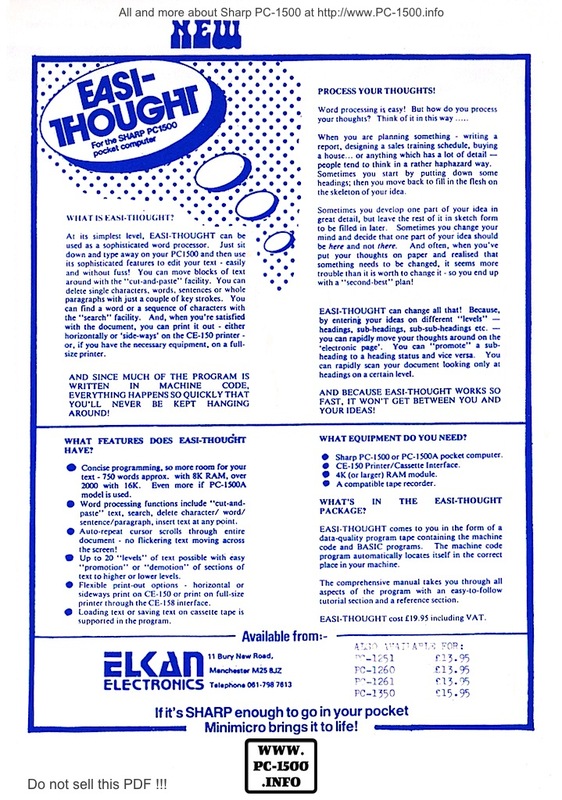 My hobby business, Minimicro, was a software developer and publisher, and I distributed my software through two main outlets – Elkan Electronics, based in Lancashire, and another company, whose name I forget, run by a Canadian. Initially, I started writing my own software for the Sharp PC-1211, the first hand-held computer programmable in BASIC. I developed a spreadsheet-type program which I crammed into the 1.2k memory. 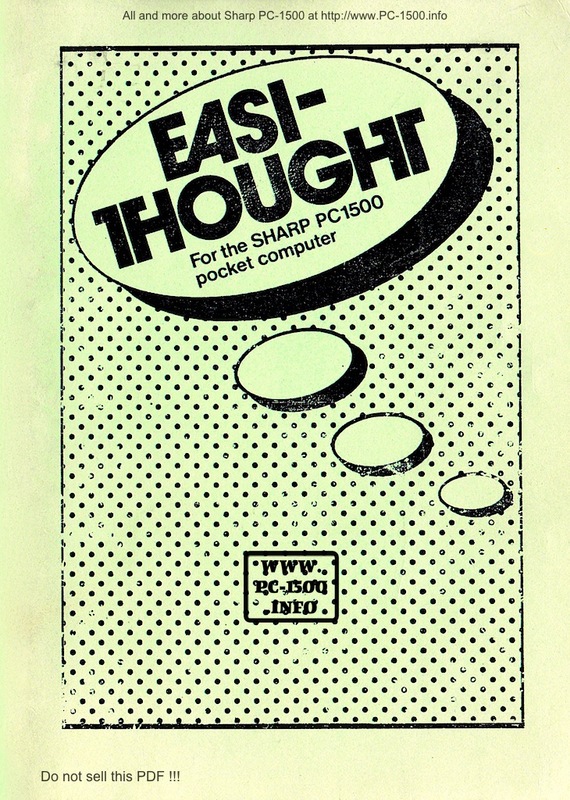 This was EASI-Calc, which made its way onto other Sharp handheld computers, including the PC-1500 and PC-1500A. 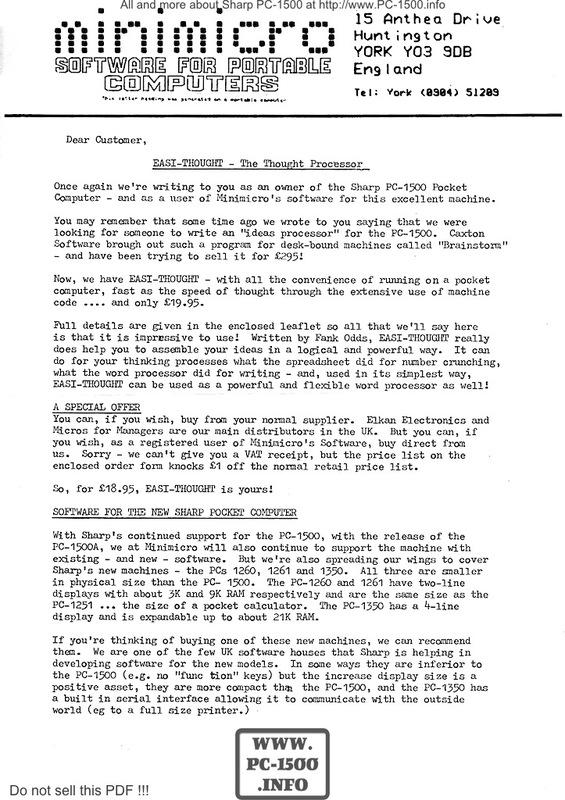 When the PC-1500 took off, I found other software authors who developed programs and released them through Minimicro – because I had the outlet channels which they lacked. I payed them a royalty on each one sold. Sharp Electronics used to send me a free computer each time they released a new model, and I did develop software from some of their later machines. 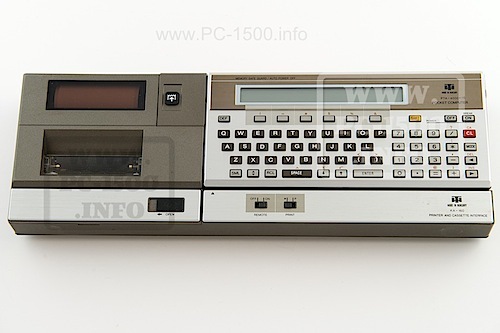 But the PC-1500 remained the main machine that I and my team developed software for. Frank Odds, a medical lecturer, was one of my main programmers. I have to be honest. 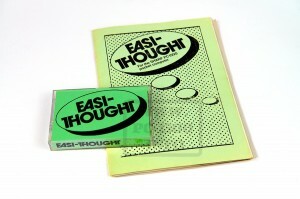 I no longer remember how Easi-Thought came about! 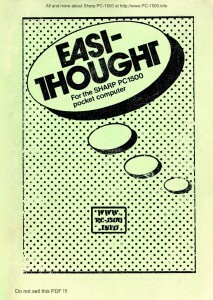 From the mid-1970s I had enjoyed teaching myself to program computers in BASIC. But to do this required access to a mainframe computer, which limited the time I could spend. 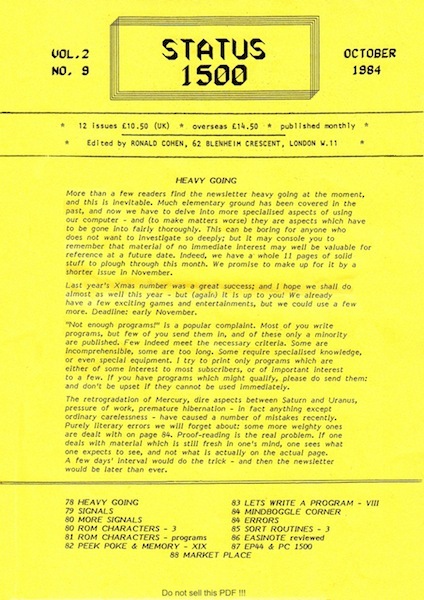 I worked at the University of Leicester, in a department with some professional computer users, but my own exposure to programming remained for some years dependent on finding quiet moments on the local main-frame terminal. 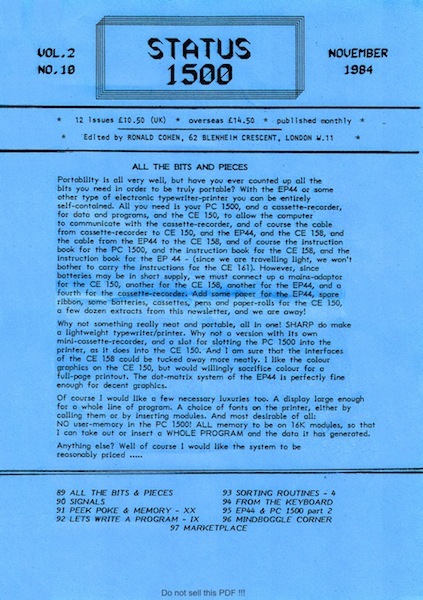 Then, in 1980, the Sharp PC-1211 arrived on the market. This was nominally a pocket calculator, but it allowed programming in BASIC — the first pocketable device that supported a “proper” computer language. I had no hesitation in buying one within weeks of its arrival in the shops. 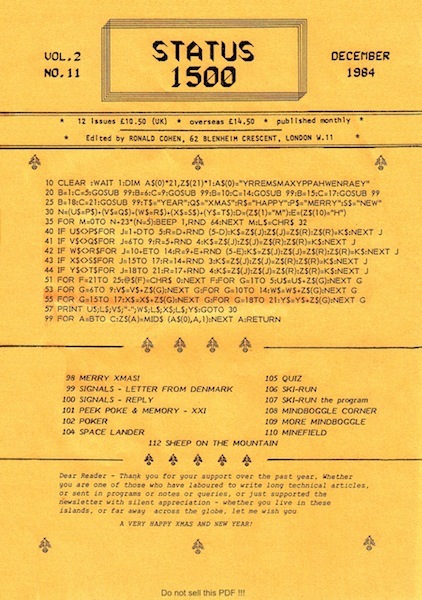 Its portability meant I could amuse myself by writing programs at any free moment, particularly when travelling. The intellectual challenge with the PC-1211 was to try to push the device beyond its obvious limits. 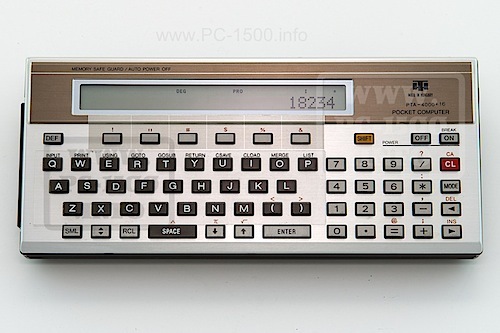 Then the Sharp PC-1500 came on the market in 1982. Wow! 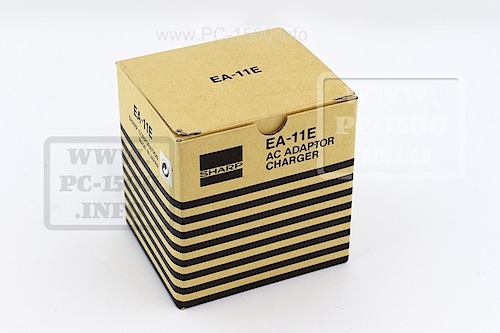 The PC-1500, with its brilliant miniature, 4-colour printer, put the PC-1211 in the shade. 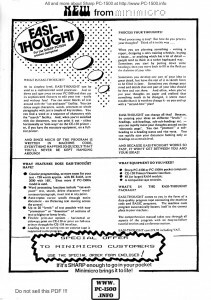 From 1982 to 1985, I must have spent almost every spare moment playing and programming my PC-1500. (Over that same period my three children were born; they probably had my time through the early evenings, and PC-1500 got the rest of my attention. 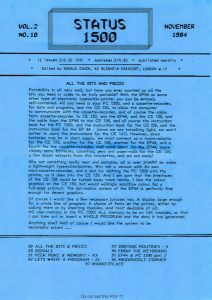 By the time Sharp released the manual on machine-code programming for the PC-1500 I probably carried all the machine’s BASIC commands in my head. 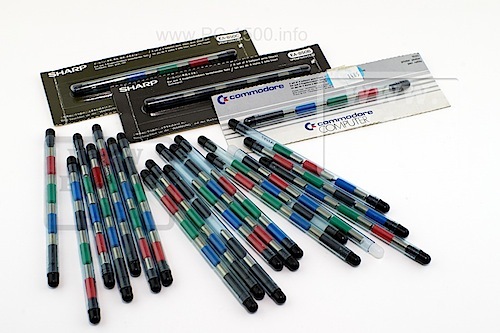 The idea of learning assembler/machine-code created yet another new challenge. 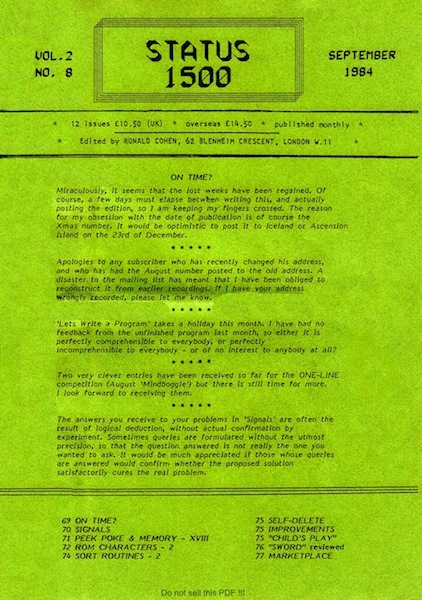 Over the years, I had often had PC-1500 programs published in the UK users’ magazine, Status 1500, one of whose readers was Ian Traynor, in York. 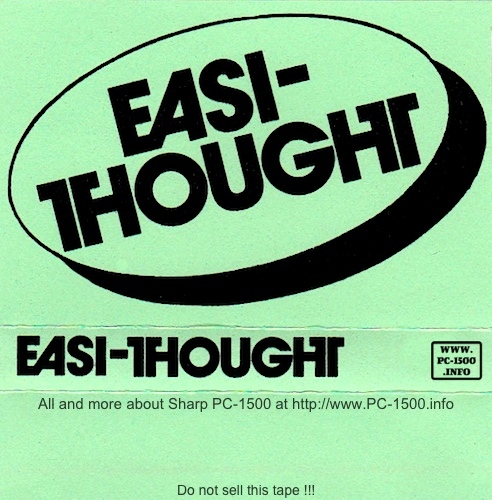 Ian was an entrepreneur, who sold several items of software for the PC-1500, all named “Easi-something” (Easi-Note, Easi-Trend and Easi-One! 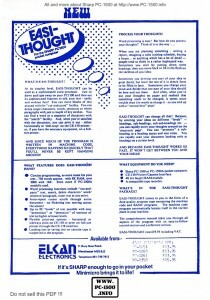 were among Ian’s products). Ian contacted me early in 1985 with the idea I might write a thought processor —I’m pretty sure I didn’t first contact him. 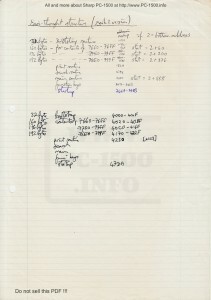 The “thought processor” concept, relatively new at the time, was similar to that of a word processor, but instead of focussing on fonts and layouts, a thought processor lets its user jot down ideas on different levels, which can later be associated to create a coherent written text. If you use Microsoft Word, its “outlining” view does exactly the same thing as a thought processor. Because I love a challenge, I must have thrown myself rather obsessively into writing Easi-Thought. 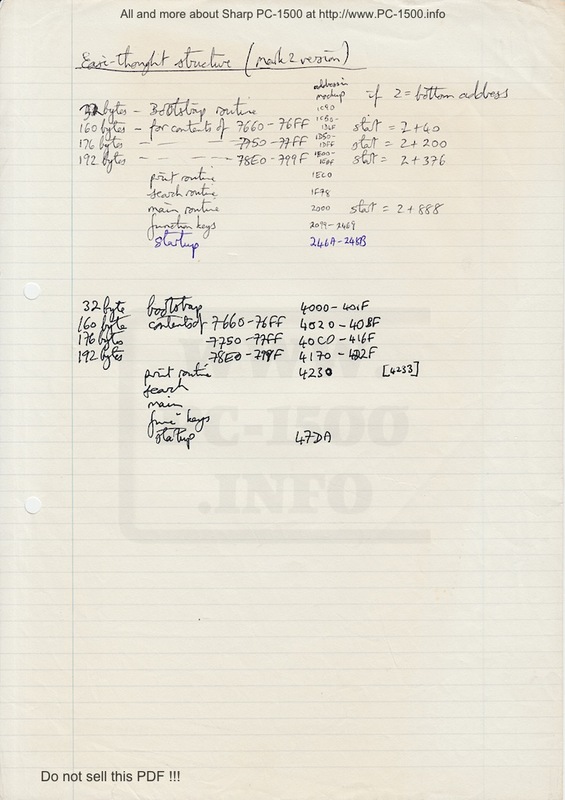 Looking at the handwritten copy of the program details I have kept over the years it looks as if I wrote everything straight out of my head, with only occasional corrections and almost no annotations. I doubt things were really anywhere near so fluent; my waste bin probably contained many discarded, failed drafts of the modules. But what emerged worked. Version 2, the one listed in the notes, will have been a modification written in response to comments and critiques from Ian Traynor. There is an indication of version 3, which probably corrected a few remaining bugs. I have no idea how many copies of Easi-Thought were ever sold. For what it’s worth, I never used the program myself! There were two reasons for this. 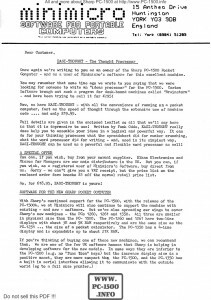 The first was that, by 1985, when Easi-Thought was released, the Amstrad PCW with its “Locoscript” word processor had become available. 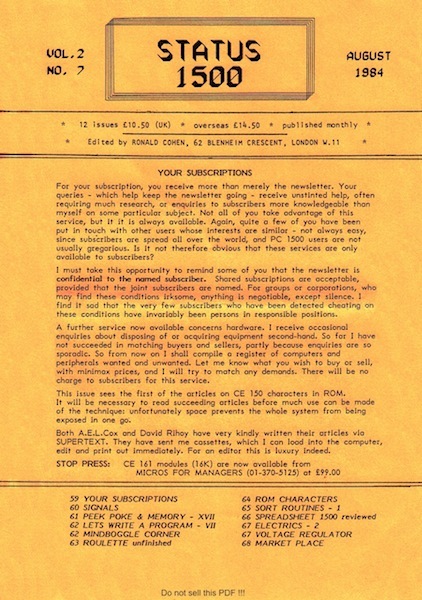 The power of the PCW word processor simply outclassed anything the PC-1500 could handle. 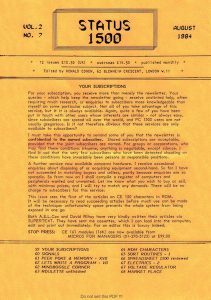 The second reason was that Ian Traynor persuaded me to write a proper word processor, but for the PC-1350, which had a four-line display, rather than the PC-1500. 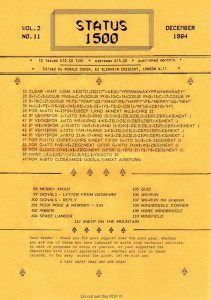 I remember the pocket word processor project took huge amounts of my free time: I think I spent about 4–5 months on the project. 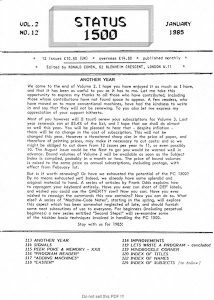 By the time Easi-Text-1350 was released, in 1986, my PC-1211 and PC-1500 had become incidental features of my life; my computing had shifted to the growing array of superb desktop machines that were much faster and more adaptable. 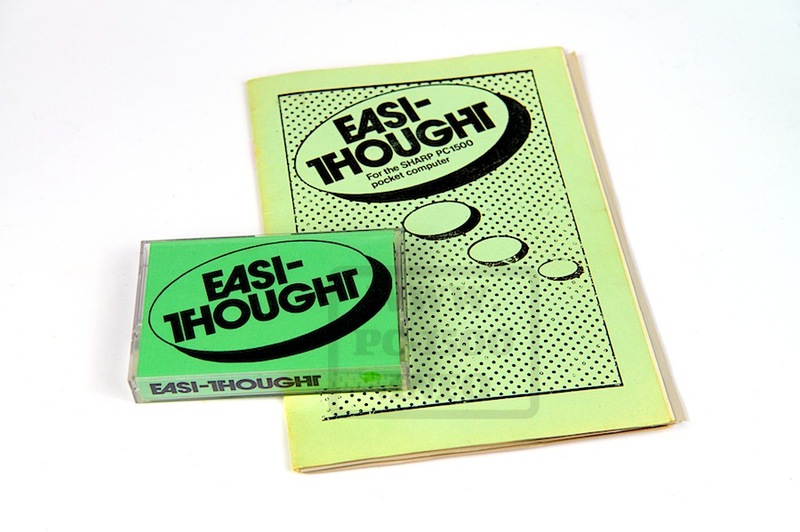 Although Easi-Thought (and Easi-Text 1350) were marketed as commercial products, and took countless hours of my spare time to create, they never became a source of income. I no longer remember any of the details, but have a warm recollection of the satisfaction of figuring out how to make all the functions work by programming at the lowest level any computer can offer. The software consists of two .wav file to load. This part is the machine language program. This is the Basic part. Please follow installation instructions from the user manual. Well, now you have a word processor such that conceived in the early 80s. 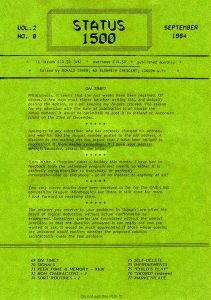 This entry was posted in Blog, Software and tagged EASI, EASI-THOUGHT, England, Frank C. Odds, Ian Traynor, Minimicro, Software, UK on 11/04/2014 by Rom1500.